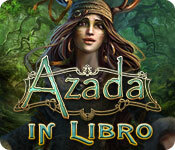 Azada: In Libro is rated 3.8 out of 5 by 114. Rated 5 out of 5 by Skulduggery from Good but... A beautiful and atmospheric game that was a pleasure to play, if not especially challenging for an experienced player. However as one of the Azada series it makes no sense, not only is the game-play very different to the previous titles, the story is completely changed as is the characters. Personally I had to just mentally separate it from the previous titles and forget the previous story otherwise it was too confusing. Rated 5 out of 5 by GunnyBlueLives from Does not disappoint Oh my goodness do I love this game! I LOVED the first 2. In Libro, however, is different. There's more motion, walking, exploring etc. and there are less games. I wish there were more mini games but cest la vie. All in all I love this 3rd game and I would buy it all over again. My only wish is that I had bought the collector's edition since with more content. Rated 5 out of 5 by Nana6177 from Pleasant Way to Spend Rainy Afternoon No HOG's. YEA!!!!!!! A true adventure game, although not very "adventurous". Would say it was a beginner’s entry level to adventure games. It was an enjoyable game. Beautiful graphics & pleasant music. Fairly easy. Puzzles where no challenge (except the very last one!!). Was greatly disappointed in ending. Is it because you don't buy the CE, they just drop the ending? Wondering if they ran out of time or money and just put a period on the end of the game. It did seem fairly short. Aside from the above, I did enjoy it. PS. The demon is none threating and just "a little devil"
Rated 5 out of 5 by gwenofala from I LOVED THIS GAME ! I did not like the first Azada game at all the timing thing please, tried the trial on the second it didn't thrill me.. but for some reason I decided to trial play this one.. WOW ! I bought it right away with only a few minutes into the play.. This is the kind of game I love to play ! NO HOS !!!! Just fun and different puzzles. It's like the Dev's got together and said "Let's put together a game Gwen would love to play !" Rated 5 out of 5 by RastaFairyAnn from untimed. nice puzzles. no hidden object. I liked it fine. buy it. Kind of easy, intermediate level I'd say, but you get to play a good long time. No hidden puzzle but finding the sparkles is pretty fun. 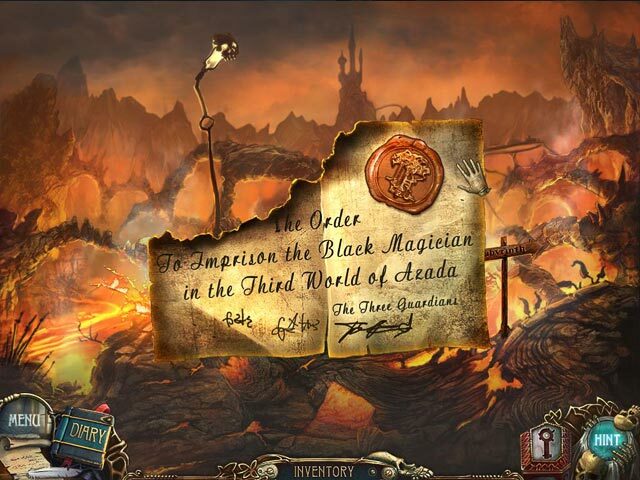 Rated 5 out of 5 by bunnydog from Enjoyed this more than Azada Ancient Magic I had just finished playing Azada Ancient Magic and decided to continue on with this Azada game. 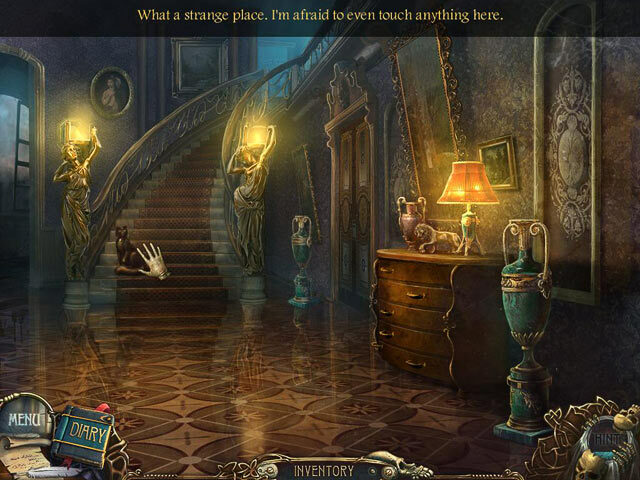 It isn't the hidden object kind of game that Ancient Magic was; rather it is an adventure game that uses the idea of Azada. I enjoyed this game more. There is the idea of evil controlling different worlds, but very little violence (if any) is shown in the game. Although you do have to go back and forth to use objects that you have picked up, your journey is not so complicated that a map would be necessary. Some of the puzzles were challenging for me and I was grateful for the skip button. Sometimes I just want to continue with the story rather than spend the time trying to solve puzzles. It would have been a nice feature if you could have gone back at the end of the game to try to re-visit the puzzles. Rated 5 out of 5 by Bluetopaz1 from I really enjoyed this game! I have to say that I had a lot of fun playing this game. The graphics were so well done and interesting. The game seemed very imaginative and creative and which added to my fun:-). I liked that it was more of an adventure game, with less hidden objects to find and had some different types of puzzles to play. Rated 5 out of 5 by isthisnametaken from A little bitt of eveyrthing! Very enjoyable! There were not a whole lot of HO scenes but I really enjoyed all the different types of puzzles. This was a mix of adventure, HO, match three, and brain teasers. I do have to admit, the ending could have been much better, just a “ta da” did not seem to fit the whole over all pattern of the game. I would recommend this game to everyone. Rated 5 out of 5 by wispy1 from The Perfect Game I found Azada in Libro a delightful game to play. There are no generic hidden objects that have nothing whatever to do with the plot. Each object that needs to be found relates to the journey. The graphics are beautiful and not gloomy and depressing as so many are of late. The game has three natural breaks which makes it easy to save without fogetting where you are when you come back as each part is complete in itself. The story is coherent and I had no need for the strategy guide. The hints are good without being too simplistic. Loved every minute. Took me several hours to complete the three parts. Each one was a new joy. There was nothing about this game that I did not like. Thank you Big Fish. Rated 5 out of 5 by moxiemoll from Impressive Game, So Good I had to Buy It!!! Played the Collector’s Edition and fell in love with this game and had to buy it. I usually don't buy the CE, since I hate to pay twice as much for a game, and it's not worth it! I broke down and bought this one!!! The graphics, and artwork, and cut scenes were beautiful. Very well done. The game play was excellent, not too easy, very logical. Some were hard, but clicking around and looking for the sparkles helped a lot. Having the stategy guide helped as well. I love the story and it was presented well in the game play. I tried the previous games since I so love this game and didn't care for the earlier Azada games. They were not as good as this latest one. This one is tops in the HOG arena. I hope they continue to produce such quality in future games. I would definitely buy them! Rated 5 out of 5 by Heli_117 from great game! Great game, long time of good fun. Lots of puzzles, mostly challenging but not too difficult. And it looks great. Just my kind of game. Rated 5 out of 5 by jodeealuvsBFish from love this game! I think it's the best Azada game yet! Rated 5 out of 5 by aowyn from Awesome Adventure Game! I totally enjoyed this one! Great graphics, loved the music and sounds. The storyline was good, loved the characters. The puzzles weren't hard. This was a very entertaining game to play. I'm glad I bought the collectors edition because I especially liked the bonus chapter, the game wouldn't be the same without it! Rated 5 out of 5 by VickyGabriel from Absolutely wonderful This is my type of perfect game. Beautiful, technically well done and very creatively drawn environments, very interesting storyline, very detailed settings, clear defined and tight atmosphere - wonderful! Every Azada game so far has made quantum leaps in comparison to the one before, and this is no exeption - I would rather say it has done at least two of these leaps. In additon to that the game is absolutely stable and shows no problems whatsoever while running it. I am a very big fan of pure Point-and-Click-Adventures but can't find them very often these days. Azada - In Libro was a very wellcome an perfectly done suprise in this respect. Rated 5 out of 5 by cleep100 from Fun and Beautiful I haven't played the previous two Azadas, so had no expectations and thoroughly enjoyed this game. The graphics are wonderful and you are taken to a number of different types of scenery. The puzzles were varied and I only had to skip a couple. They look super-challenging at first, but if you play around a little bit, you will figure them out. There are no HOS! This kind of game seems to be rare and I hope the developers are working on more like this. Just really fun, immersive and riveting. Rated 5 out of 5 by Rebr2009 from AWESOME !!! The Best Adventure Game Series ! Once again, Azada is amazing ! - Great story; - Gorgeous graphics; - Very good sound; - Amazing atmosphere! - Many locations to go and a lot to do in each of them; including find and use objects ( not a HOS, you have to seek in the locations ), outstanding interactive puzzles (very different from the usual HOG or adventure games) - unfortunately they are easier than the previous Azadas. The game is not a big challenge, but is super entertaining and enjoyable. Rated 5 out of 5 by silentpages from A great point & click adventure I believe the people who said this game is super short took total advantage of the blog walkthrough. This is a wonderful game. The tasks to perform make sense with the story. It took me days to finish. I only skipped one puzzle. Once, I even woke up in the middle of the night with a solution. It was correct! Hubby wasn't pleased that I didn't make it back to bed, but I'm still proud of myself. Rated 5 out of 5 by hmhque from Enjoyed this game very much I really enjoyed not having traditional HOG scenes and some of the mini games were ones I have not done before which was refreshing. Hoping they keep this format going in the next one but make it longer, the play time was a little short for me. This is not a hard game bu challenging enough. Rated 5 out of 5 by Cydnieg from One of the best I've played I am no newcommer to large file, hidden object or adventure games. I have to admit this is one of the best games I have ever played. HO's are not my favorite, I have gotten board of them as most are not a challenge or the things collected have no barring on the game. Syberia got me into adventure and large file games. This game kept me and my friend busy. I loved that everything you collected actually had a purpose to advance unlike most HO.where you just collect to collect The puzzles were just challenging enough but not get you frustrated. I did have to check out a walkthrough a couple of times but only until I got the jest of what they epected of me as a player. I highly recomend this game. I only wish that the previous azada games were of the same caliber, I looked into both of them and they cannot compare. Rated 5 out of 5 by okanaganbeat from azada this will a fantastic game, absolutely loved it. The graphics are truly amazing, the story is logical and just enough challenge to make it interesting. I really didn't like the previous 2 azada's, this is a huge improvement, loved the puzzles! Rated 5 out of 5 by Dlr66 from Two here loved the game My husband and I both played it and enjoyed it. The only disappointment was we wished there was at least one more world. Neither of us cared that it wasn't like the other Azada games, it was still a pleasure to play. Rated 5 out of 5 by gailfriend429 from Fun and engaging game! I like a break from all the HOGs and this was a lot of fun. The puzzles were challenging for me (I had to skip a few!) but the game was long and very enjoyable. Wish I had gotten the CE but maybe sometime...... Great break from the spooky screamy stuff, more magical. Rated 5 out of 5 by Titania from Enjoyable Game So long have we waited for the new AZADA Game, I couldn't wait to play it. Although I have to admit it is not the most difficult of games I have played I did enjoy playing it a lot. The Puzzles were of medium difficulty, the game play was good, graphics were good and story was ok too. I would reccomend this game to Azada fans. Rated 5 out of 5 by Holly1006 from fun game! i thought it was great. i have 2 other Azada games - one great, the other not so much - but this Azada is nothing like either of them. good job! Rated 5 out of 5 by gskremser from Loved it! This is one of the best games I've played yet on Big Fish! The puzzles are fun, the graphics are good, and the storyline is interesting. I definitely recommend this game. Rated 5 out of 5 by Martyheinz from Excellent Puzzle Game This game had interesting and unique puzzles. 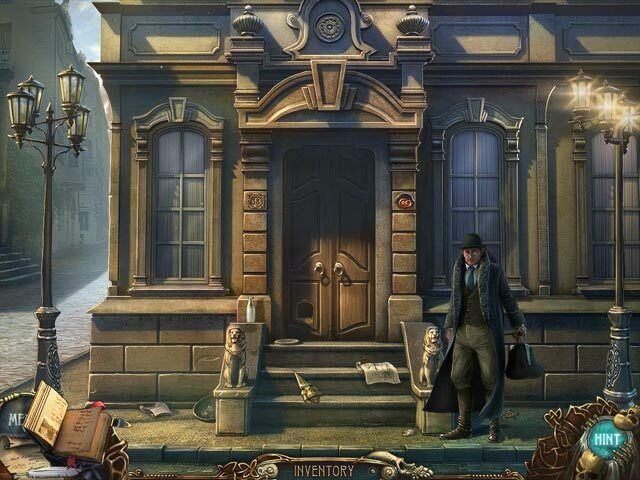 Anyone not into Hidden Object games but like puzzles should really enjoy this game. I found the music pleasant and did not distract from the game at all. I wanted it to go on longer. I do wish developers would use interactive maps, or at least have a map available in the journal to show where you are in relation to where you need to go. All in all a really fun game. I am so glad I got it and that it is nothing like the first two Azada games. I did enjoy the first two games but this is completely different. Rated 5 out of 5 by BigFishFan35 from Awesome Game! I really enjoyed playing this game. I am not a big fan of HO scenes popping out once every two minutes. So this game was a nice break since it didnt have any ! It was fun to play. Hope there will be more games like this in the future..